European Broadcasting Union chairman says Israel must not curtail work by Eurovision performers on Shabbat. 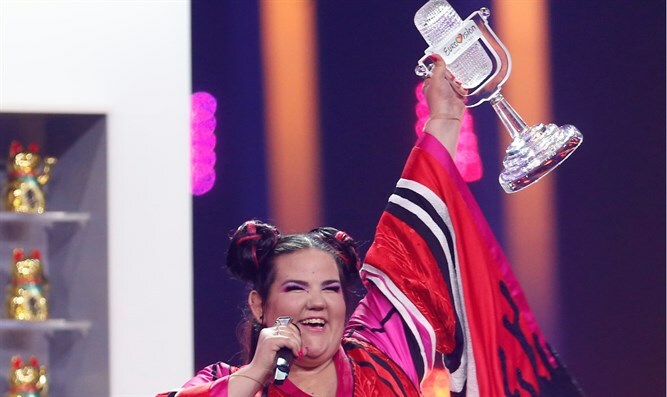 The chairman of the European Broadcasting Union and the supervisor of the Eurovision Song Contest sent a letter to Prime Minister Binyamin Netanyahu, detailing a series of demands and preconditions that Israel would have to meet in preparation for the Eurovision Song Contest in 2019. The European Union is demanding from Netanyahu that comply with the conditions. European Broadcasting Union chaiman Jon Ola Sand, who visited Israel last week, said that "the union has not received any calls for a boycott of Israel." He declared that "there is no chance that the Eurovision will be held without work on Saturdays."